I've been wanting to try a sweet and flirty look worthy of a date look. I wanted to play with my new makeup, the Smashbox Perfection Complexion Kit, Flutter False Eyelashes and of course the Sweet and Smokey Palette from Beauty Pro Cosmetics. While I was at the mall contemplating on whether to get myself an iPad or a new lens, I found myself inside the Beauty Bar and there I saw one of the major Smashbox Kits that I've been lemming for quite awhile.. waned only by the fact that I didn't want to pre-order and wait for months before it gets to me. Good thing that it's sold already here! On SALE at that! What was supposedly 3,100, I got only for Php1,705. The reason for such sale was because the foundation, Smashbox High Definition, was due to expire March of next year. The bottle is very tiny. It's in a travel size good for about a month of two of use, so I grabbed the of Smashbox Complexion Perfection Kit in Light. Knowing that I can go through a foundation like Garfield does on a tray of lasagna, I didn't second guess myself and paid right away. We all know the very popular Photo Finish Primer from Smashbox which earned raves left and right! Although I'm not much of fan of primers, my oily face really adores them. And quite honestly, Smashbox primer doesn't break me out. I'm happy to have this in travel size! I love the High Definition foundation in L3! 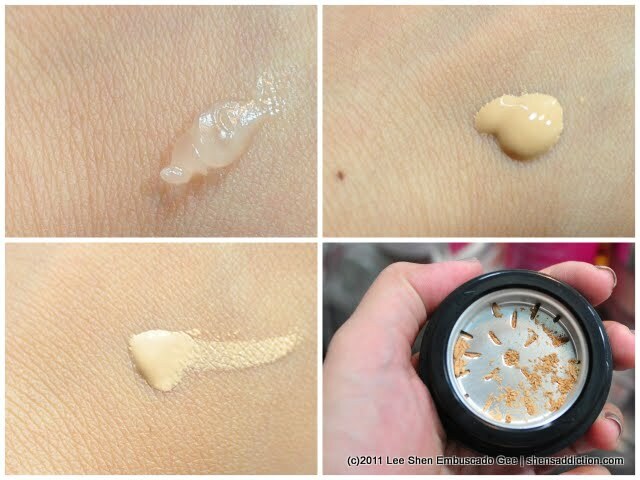 As expected its the consistency is runny as most HD foundation I have tried. It goes on smooth and provides a medium coverage. I have scars from my CO2 laser treatment for my sebaceous hyperplasia around the nose area and it covers it a bit. My dark under eyes were effectively covered as well with the High Definition Concealer in Light. I really didn't know what my apprehension ws with the Smashbox Halo To-go Hydrating Powder, it has amazing coverage when combined with the High Definition. :) Provides a matte coverage when I thought my face would shimmery or glowy. Downside is... now I want them all in FULL SIZE!! Hahaha! I used everything in the kit for this whole look. My face cleared up from acne and now I'm just dealing with inevitable blemishes it left behind. Thank God for peeling and Fraxel, it's going to be a lot easier to deal with that. But for immediate results, of course I rely on makeup and the Smashbox Complexion Perfection Kit does that. For red marks though like my not-so-healed scars from CO2 laser, I still needed a blemish concealer like my Tea Tree Concealer from The Body Shop to cover it more. But over all, for Php1705, this kit is really a great buy! And with a flawless canvass, I'm now free to create a sweet makeup look I've been aiming to do for a while. Natural Flair from Flutter Lashes is one of the most lightest lashes ever! I'm in love! It's a great thing they come in 10 pairs for only Php350! :) And super easy to apply, too! I still curled my lashes and binded them with the falsies with the Majolica Majorca Lash Enamel Mascara and applied a bit of it along my lower lashes. 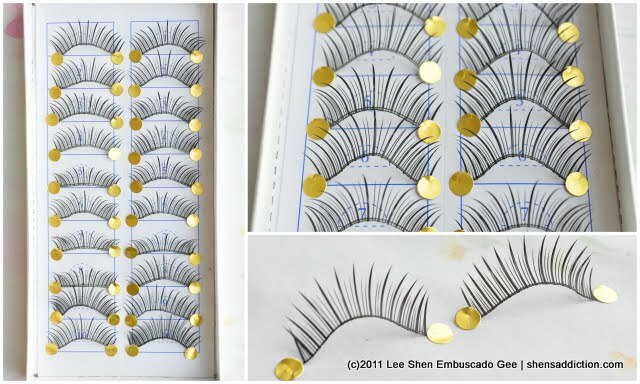 The comb made it easy for me to coat my lower lashes without having to mess it. 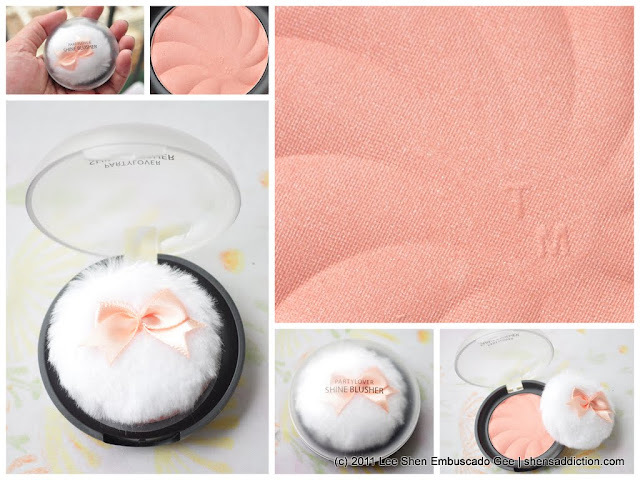 For the cheeks, I puffed a bit of Tony Moly Party Lover Shine Blusher in 03. It's peach blush with lots of shine. It doesn't stay long on the cheeks though. I suggest prepping the cheeks with a cream blush for this is almost like a highlighter in coverage. 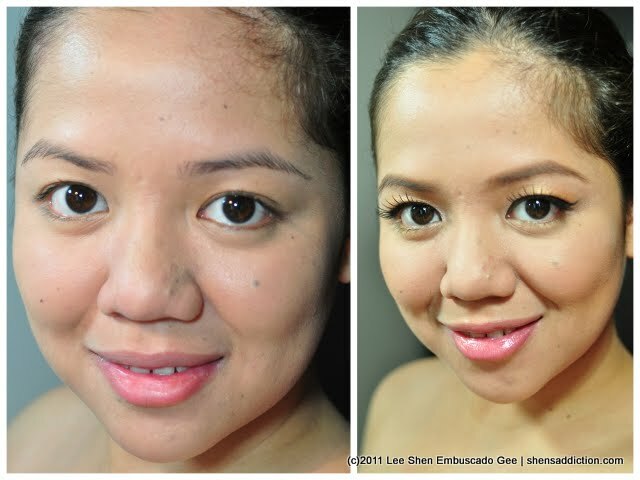 To keep this look sweet, I used my MAC X Hello Kitty Lipstick in Cute-ster with Lustre finish. It looks as if I already applied gloss, but I didn't! The finish is just lovely for this whole look. Love the look! :) Kinda envious about those who wear falsies but sometimes I can't stand having more than 1 coat of mascara ^^;; I have really short eyelashes so yeah, falsies would be great to try from time to time. And congratulations on the Smashbox kit. :D That's a good deal even if the foundation will only be up to March 2012. Super pretty look! Your skin is looking better and better every day! I am addicted to anything pink! I love your pink lipstick! I love how you did your eyes! Where did you get the lashes from?